Glitterhouse Records is more than happy to present you the live recording of a magic night. The Dutch/Belgian chanteuse Chantal Acda in a duo-setting with Grammy-awarded guitarist extraordinaire Bill Frisell. Captured in superb sound quality! „When I wrote the songs of my record, I dreamt to hear Bill’s sounds on it. I thought this feeling would go away but it never did. So I deceided to contact him to see if he would work with me and put the last pieces of the puzzle together on this record (“Bounce Back”) . He liked the music so I flew to Seattle to record his wonderful guitarplaying on the songs. Meeting him felt like coming home. And this connection was still so fresh in my memory when I arrived back to Belgium. We kept in touch by writing eachother and sometimes he drew me funny faces. We were invited to play at the wonderfull Jazz Middelheim festival and finally ended up on stage together. In the dressingroom we quickly went through the songs but we kept all suprises for the stage. It was a wonderful experience for me. One of the highlights of my musical carreer. It wasn’t ment to be recorded but it was. So listening back to these recordings we thought it would be nice to be able to share this with the people who were there but also the people who missed it and are curious to hear what happened. I truly hope you will enjoy these moments. These moments that will always stick with me. 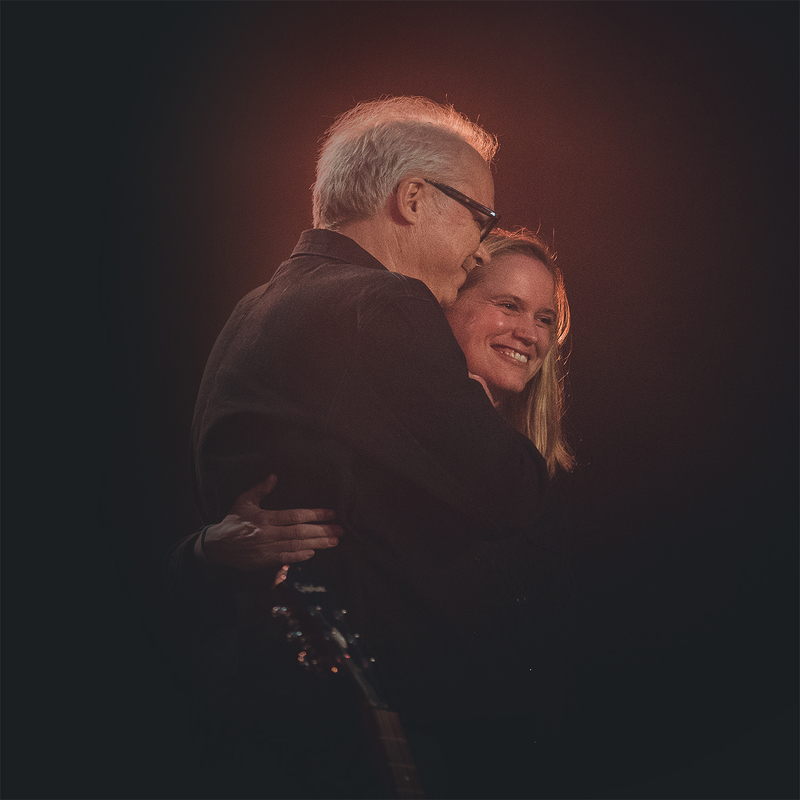 Chantal Acda & Bill Frisell „Live at Jazz Middelheim“ will be released May 25 via Glitterhouse Records.